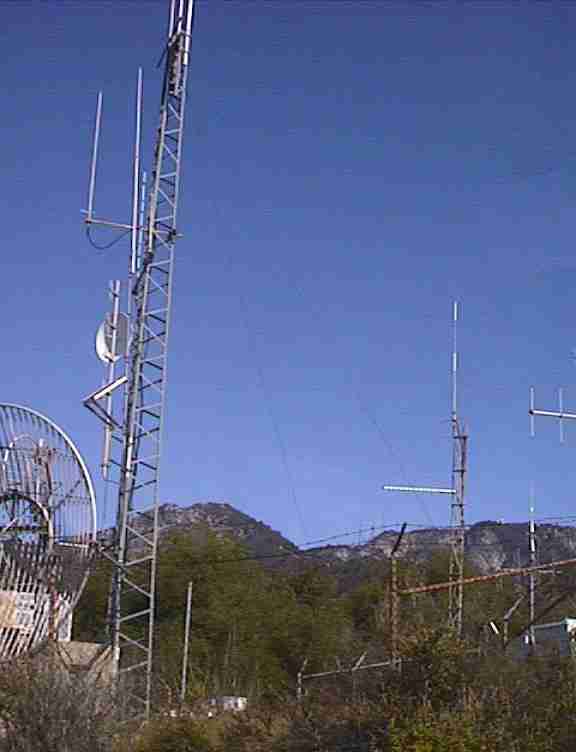 N6EX-1 is an APRS (Amateur Position Reporting System) station atop Santa Anita Peak in the San Gabriel Mountains above Sierra Madre. 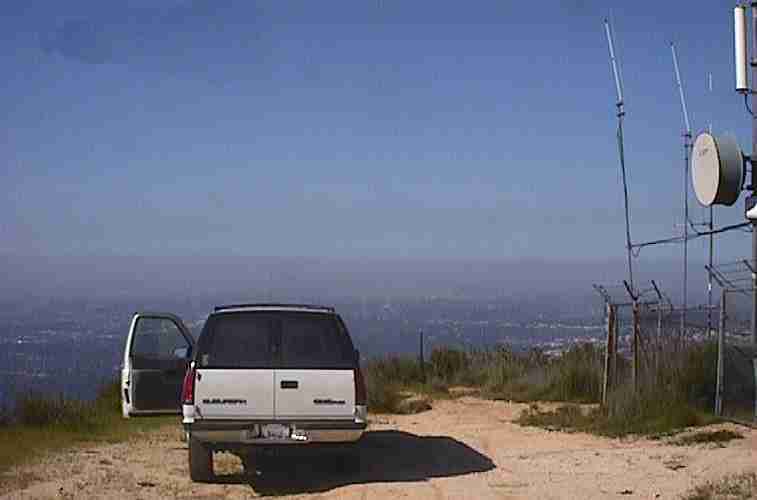 It provides APRS service to the greater Los Angeles basin and much of western Orange County. 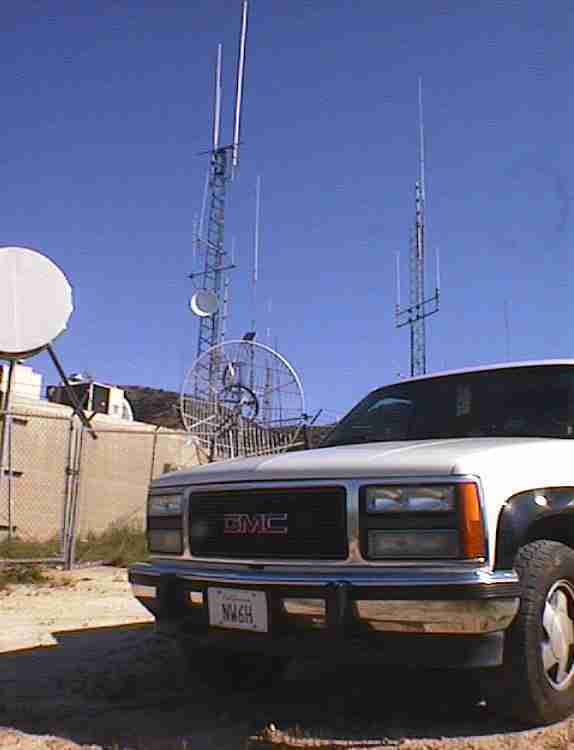 It operates on the current APRS standard frequency of 144.390 MHz. 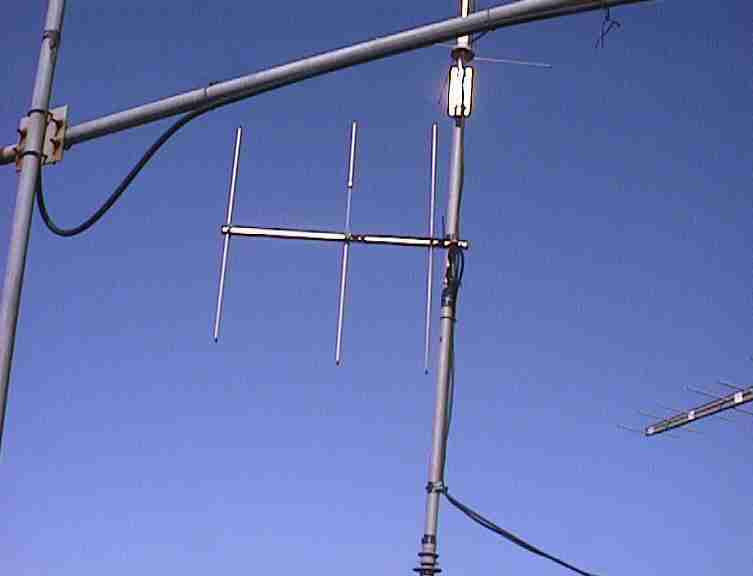 The N6EX-1 yagi is the horizontal whitish assembly near the center of the image. Here's a shot of the northside tower guys. Here's one of the southside tower guys. 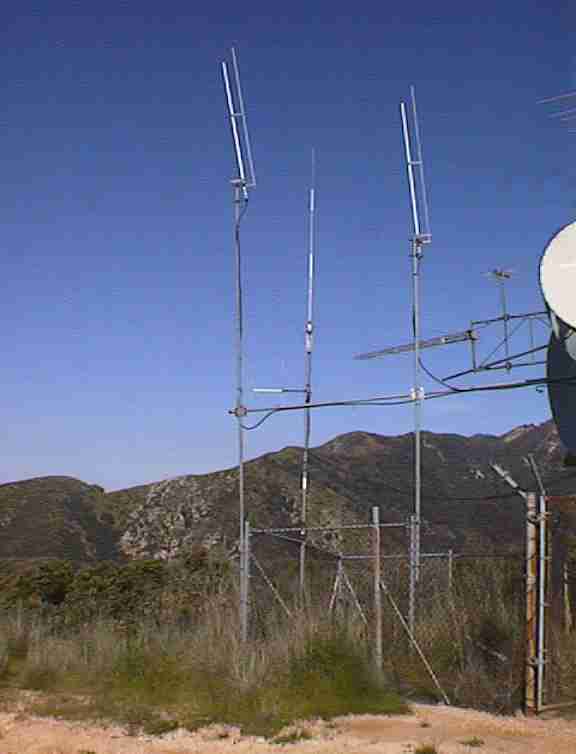 Here's a picture of the NW6H Great White Shark at the N6EX-1 site. 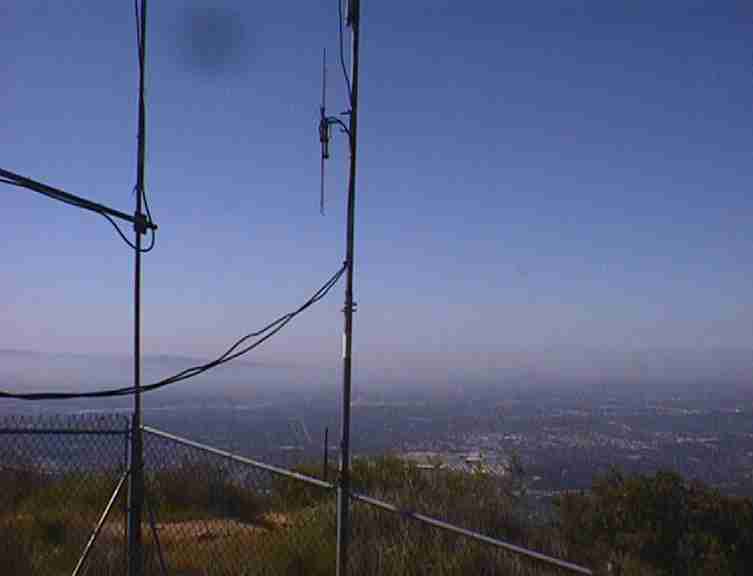 Looking out over Los Angeles on a sunny morning with a strong inversion layer formed. 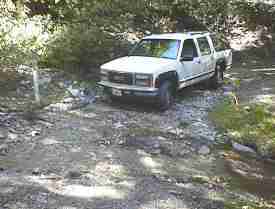 The brown stuff is a combination of water vapor and pollution, AKA smog. 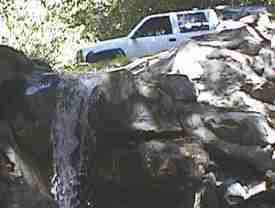 Here's two shots of the truck crossing over San Olene Creek and the waterfalls immediately below the road. 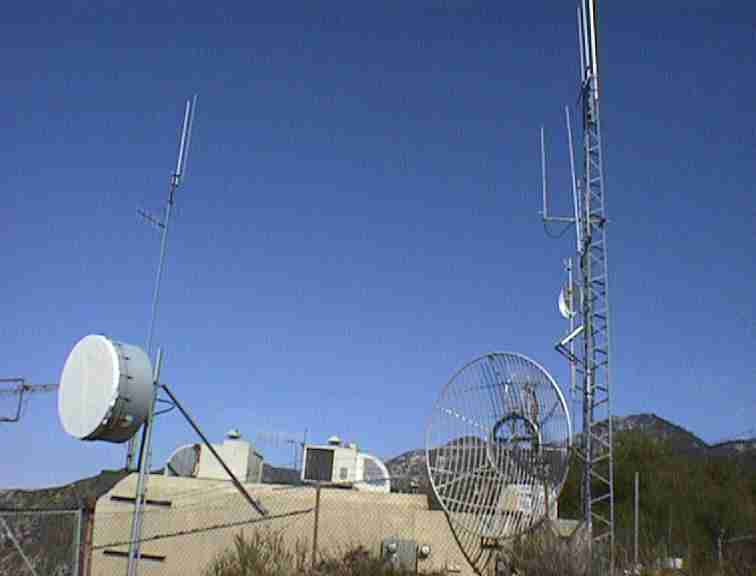 And finally, the panorama shot from atop the building.